Le scarpe più amate e desiderate sono loro: le Valentino Rockstud. Oggetto del desiderio di molte fashion victims e non solo, sono le calzature che da 5 anni cavalcano l’onda del successo senza mai perdere si stile, facendo brillare gli occhi di tutte le donne. Proprio così perché il segreto di queste calzature risiede nel fatto che possono indossarle proprio tutte. Il brand Valentino nasce nel 1957 a Roma, portando il nome dello stilista che lo ha creato. Da qualche anno la sua direzione creativa è sotto la guida di Maria Grazia Chiuri e Pier Paolo Piccioli che con qualche innovazione hanno saputo tener alto il nome della maison in tutto il mondo. Grazie ad una loro intuizione, nel 2010, nascono le Rockstud, scarpe decoltè con mini borchie, che vengono ammirate per la prima volta durante una sfilata di Valentino a Parigi. Nel tempo le Rockstud hanno acquisito un’anima più giovanile e rock,che le rendono perfette per ogni outfit. Le Rockstud possono essere indossate da chiunque e se abbinate al giusto abito acquisiscono una vena più chic. Queste scarpe, nelle diverse versioni, possono essere indossate sotto un abito corto o lungo, per un effetto più glamour ed elegante, oppure sotto i jeans a sigaretta per un look più casual. Delle linea Rockstud vi sono anche borse, occhiali e ai tanti accessori da abbinare a queste scarpe che sono diventate un pezzo iconico della maison. The most popular shoes and want to have them: Valentino Rockstud. 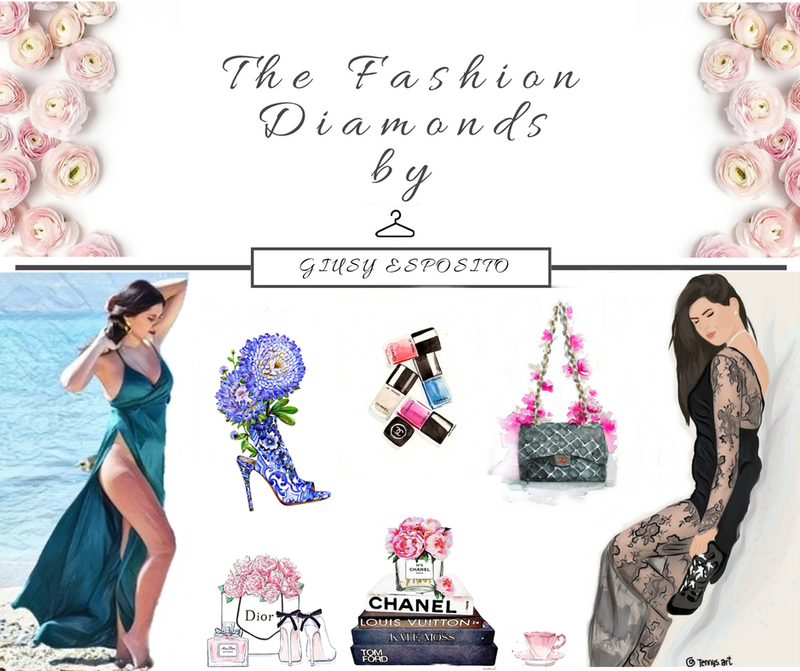 Object of desire of many fashion victims, and not only, are shoes which five years are riding the wave of success without ever losing you style, making sparkle with all women's eyes. That's right, because the secret of these shoes is that they can wear them all right. The Valentino brand was born in 1957 in Rome, carrying the name of the designer who created it. For some years its creative direction under the guidance of Maria Grazia Chiuri and Pier Paolo Piccioli that with some innovation have been able to take the high fashion house name all over the world. Thanks to their intuition, in 2010, born Rockstud, cleavage shoes with mini studs, which are admired for the first time during a parade of Valentino in Paris. Over time Rockstud have acquired a soul more youthful and rock, which make them perfect for any outfit. The Rockstud can be worn by anyone and if you match the right dress acquire a more chic vein. These shoes, in different versions, can be worn under a short or long dress, for a more glamorous and elegant effect, or under-leg jeans for a more casual look. Rockstud the line there are also handbags, sunglasses and many accessories to match these shoes have become an iconic piece of the fashion house.